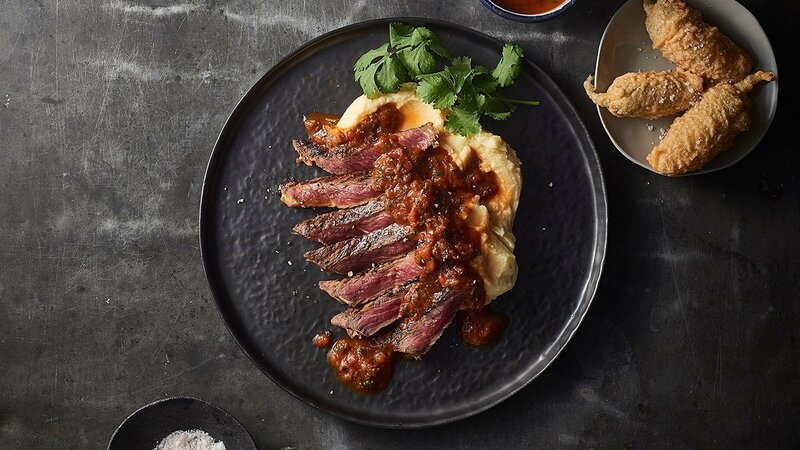 Marinated rump steak with a traditional tomato-based Mexican sauce. What's not to love! Served with a simple mash to allow the flavours to stand out in the sauce. Combine all ingredients and pour over steak to marinate. Let marinate for minimum 1 hour. Set aside ready to serve. Cook steak - slice and serve.